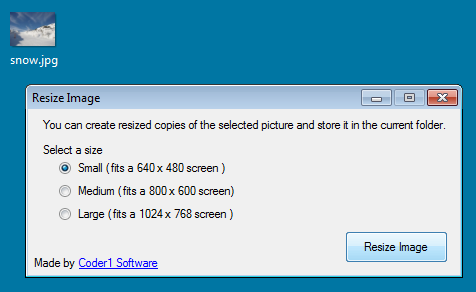 Right-click on your photos and resize them. Easy to use utility that resizes them to three predefined sizes. - just right-click on your JPEG photos and select 'Resize Image'.